Please note: there are TWO new posts today, so be sure to scroll down below so you don't miss a single thing! Winterberry, a new set from Heather Nichols, captures the natural beauty of winter and the holiday season. With an artfully created branch & berry duo as well as ornaments &snowflakes to coincide with it, as well as an unforgettable and detailed tree, you will quickly fall in love with the magic Heather has created here. Winterberry will be available for sale on October 15th. The tree measures 1-1/2" x 2-3/8" and the branch measures 3" x 1-3/4" . The next addition to the Think Big Favorites series is here and just in time for the holidays! 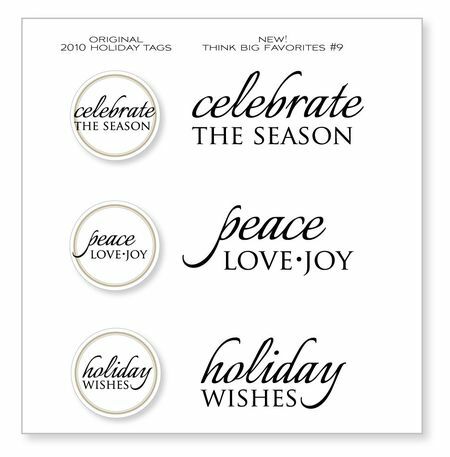 We have super-sized the stylish sentiments found in the 2010 Holiday Tags stamp set. Think Big Favorites #9 will be available for sale on October 15th. Think Big Favorites #9 contains a total of 3 sentiment stamps. All three sentiments measure about 2-1/4" x 1". Also new this month is Heather's new addition to her Tag-its series. Tag-its #9 is perfect for the upcoming holidays and is definitely packed with a lot of style. The beautifully scrolled frame will add an elegant touch to all kinds of projects and the detail in the small companion images is truly amazing! Tag-its #9 will be available for sale on October 15th. The scrolled frame in this set coordinates with our Limitless Layers 1.75" Circle die collection. I have two exciting new die designs to share with you as well today! This first one is from Lisa Johnson. She has designed a perfect one-piece gift card holder, just in time for the holidays. You can now create holders in whatever color you desire and embellish them to suit the occassion or recipient! The Gift Card Greetings die will be available for purchase on October 15th. 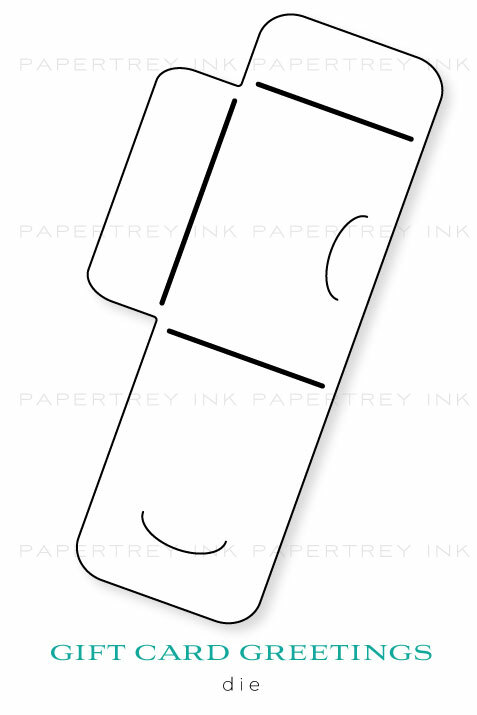 The Gift Card Greetings die measures 3-3/4" x 8-1/4", creating a finished package that measures 3-3/8" x 2-1/2". The last die I have to introduce is a special creation from Maile Belles. Her new Wine Bottle Tag is simple and stylish and really can serve many purposes other than just decorating wine bottles! Maile will be showcasing many of these applications throughout the week, so be sure to keep an eye out on her blog! The Wine Bottle Tag die will be available for sale on October 15th. The Wine Bottle Tag die measures 2-1/2" x 7". The circular opening measures about 1-1/2" in diameter. My fist project uses the new Wine Bottle Tag die paired up with Tag-its #9. I die-cut the tag from both Pure Poppy & Raspberry Fizz cardstock, layering hem on top of one another. I stamped the beautiful scrolled frame from Tag-its #9 using Raspberry Fizz ink and added the poinsettia from the set with Pure Poppy. The sentiment, also from the Tag-its set, was stamped in True Black. I created a pleated medallion with the scalloped Limitless Layers 1.75" circle die using Raspberry Fizz cardstock. I heat embossed the branch from Winterberry with clear embossing powder onto the red tag. I love the way they organically frame the focal point. I staggered the Raspberry Fizz layer of the tags slightly down and stamped it with VersaMark and Polka Dot Basics II. The bright pop of color is a bit of a pleasant visual surprise. There is an adorably detailed sprig of holly in the new Tag-its #9 stamp set and as soon as I saw it, I thought it would make a wonderful holiday wreath. I traced a small circle onto my cardstock and stamped the holly sprig around the guideline using Ripe Avocado ink. I stamped twice with each inking, allowing for various graduations of the same color for more depth. I added red rhinestones for berries and then stamped the bow from Bells & Boughs with Pure Poppy ink on a coordinating die-cut. The bow ended up being the perfect scale for my wreath! I cut a strip of Spring Moss cardstock and added this Peace & Joy sentiment from Holiday Photo Finishers using Ripe Avocado ink. All of which was adhered to a Ripe Avocado card base. This bright & bold card uses the beautiful branch from Winterberry. 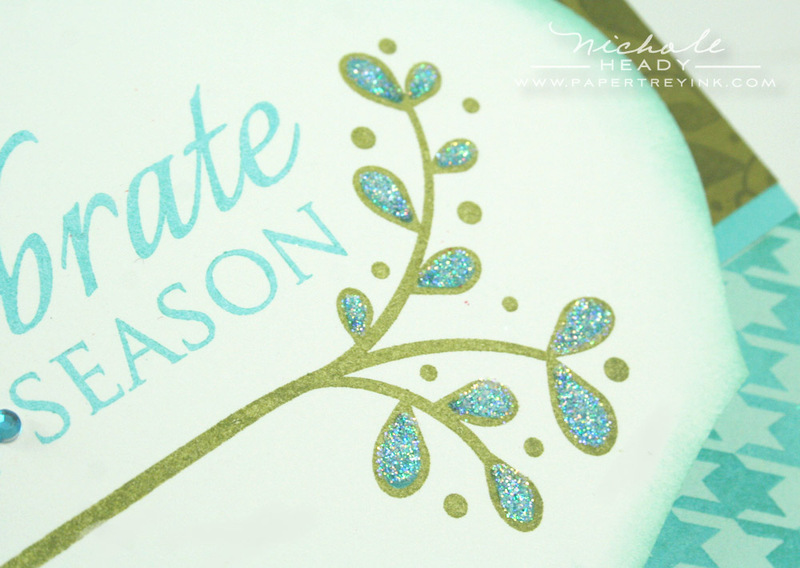 I started by die-cutting the Mega Mat Stack 1 from white cardstock and stamping it with the Think Big Favorites #9 sentiment, "Celebrate the Season" in Hawaiian Shores ink. I added the branch from Winterberry underneath it with Ripe Avocado ink. I then used a Hawaiian Shores Copic marker to color the interior of the leaves. A two-way glue pen in addition to some Prisma Glitter finish it off. I stamped a strip of Ripe Avocado cardstock with the leaf sprig image from Winterberry using Ripe Avocado ink and matted it with a strip of Hawaiian Shores cardstock. 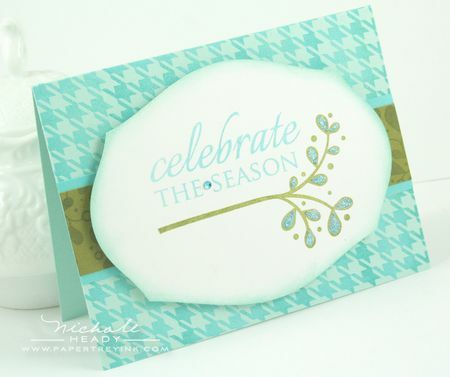 The Aqua Mist card base is stamped with Background Basics: Houndstooth using Hawaiian Shores ink. Next I thought I would share a little project with you using the new Gift Card Greetings die that Lisa Johnson designed. I die-cut it from Spring Moss cardstock and stamped across the front of it with the tree from Winterberry using New Leaf ink. I shaded each of the leaves on the trees with a New Leaf Copic Marker. I then added polka dots at the bottom edge with Spring Moss ink and Polka Dot Basics II. Snowflakes from Winterberry were added amongst the trees with Fresh Snow ink. I die-cut an Angled Label from white cardstock and stamped it with the coordinating frame from Label Basics using Pure Poppy ink. The sentiment from Winterberry was added with True Black ink. As you can see, this packaging is all-inclusive and has tabs that hold everything in place with out the need for any adhesive. Much easier for the recipient to open! Inside, I added a second label, this time stamped with the to/from image from Tag-its #9. This gift card holder goes together so seamlessly and so quickly, it will definitely be something that you can turn to again and again throughout the year. I thought I would do a non-holiday card with Winterberry as well. The leaf sprig image in the set makes amazing backgrounds! I stamped Vintage Cream cardstock with Orange Zest ink and then added the large dots with Summer Sunrise ink. I added a few strips of Aqua Mist cardstock down the center as well as a pretty sentiment from Beautiful Blessings. I stamped the Label Basics frame in Aqua Mist and added the sentiment to the center with ORange Zest ink. I hope you have enjoyed all of the projects I have prepared for you today! As you can see, these new goodies are incredibly versatile and can really add an element of FUN to your paper crafting! Especially for the holidays! We would love to hear your initial thoughts on all that was introduced today! Is there anything in particular that has caught your eye? You could have a chance to win an amazing prize package just for taking the time to share your thoughts with us! Maile Belles has more to share using her new Wine Bottle Tag die. Be sure to scroll down below (or CLICK HERE) to see a second post for today. FINISHED SIZE: 2-1/2" x 7"
FINISHED SIZE: 3-3/8" x 2-1/2"
all of these new stamps are just beautiful. I love the new think big sentiments. All the new stamps are just gorgeous and so versatile. Love the different looks from winterberry set as well as Tag-Its 9. The holly wreath is gorgeous. Love the Winterberry Set … so pretty! And the gift card holder die will really make it easy now! eek! the new dies are must-haves for me! the giftcard holder and wine bottle tag are perfection 🙂 love it! I just love the Gift Card Die. Amazing, love it. And I love the Holly Wreath. Beautifull. I like everything you showcased and really like all the dies today. I also particularly like the wreath you made and the all-season card. Would love to win and thanks for the opportunity . The Winterberry set is a great example of everything I love about Heather’s designs – rustic, natural & versatile. Definitely adding this set to my wishlist! Wow, I just love that gift card die. I’m sure I’ll get a lot of mileage out of it. I am really loving all the fun holiday projects – the sets look great and the new dies are simply divine! How wonderful they will be for gifts around the year. I cannot wait for the reveal of the Winterberry set! I love the wreath you created and I also appreciate how you show cased the versatility of the set by creating a non-holiday card. I am soooo very pleased to see the Gift Card Greetings die! I am a fan of giving gift cards, so I am constantly making holders for them…this die will free up my time from all the cutting and designing! All I have to do is cut and decorate! Thank you for the opportunity to win these awesome products! This is really getting me in the holiday spirit. What a wonderful way to start the season with so many great die cuts and stamp sets!!! Love Tag-its #9 & Winterberry! Both are going on the wishlist! LOVE the wreath you created! The gift card die and wine bottle tag die are must-haves! Can’t wait to get these. The wreath you made from the Tag It’s holly sprig is gorgeous. Can’t believe it’s from a $5 set. Oh wow, that gift card die will be indispensable! This will definitely be the must have of the release! wahooooooooooooo i give gift cards ALL the time..that little holder would be perfect!!! thanks for a fun giveaway!!!!!!!!!!!!! I have been hoping for a gift card die ever since the dies were introduced. Yay! I’m always amazed by the options you give for each set! I’m really like the two new additions to the dies range. I love the little gift card holder – makes giving the gift so much more personal. I also love the wreath card that you made with the sprig from Tag It. They sure pack a whole lot of punch for a $5 set! Beautiful as always. So very pretty. I haven’t tried any of the dies, but that was before I started looking at this blog. Can’t wait the place me next order. I LOVE the gift card die and the winterberry sprig!!! And the wreath from the Tag-It’s holly is GENIUS! So, so excited about this release!!!!! I love winterberries (which is why I named my blog after it)and am looking forward to these stamps. Ah, love the gift card holder! That holly wreath is absolutely stunning! Makes me want to create one, or one hundred, for me too! The dies are fabulous and a perfect addition to my ‘gift stash’. Thanks so much for the inspiration! Your wine bottle tags are my favorite. Sets of those will make perfect gifts for my Book Club friends! Thanks for the inspiration! I really love these series of small inexpensive stamp sets, I look forward to them every month! Loving the Winterberries and Tag-Its even more! Fab projects today – winterberry and tag its were on my list from the sneak peeks, so I was really looking forward to seeing projects from them. The new dies look fab too – perfect for gifts, not just at Christmas, but any time of the year. Love the two new dies Can’t wait to play with the gift card holder!!! Wow. Lovely, lovely, lovely. I love winter berries. Your cards are so beautiful and such a inspiration. And those dies……..hm. I adore dies. I love dies. I must have a lot, a lot of dies. I need the new giftcard holder die! And love your projects again! My favorite product today are the dies. The wine tag /door hanger is so versatile and the gift card holder is perfect-perfect-perfect for Christmas gifts. Every months new ideas :o) Incredible. The winterberry set is so cute! Love the tree and the branch image. Wonderful projects once again. Gift card holder? Just perfect!!! Thanks for shariang your projects today. I love the sprig in the Winterberry set. The set can be used all year round which makes it nice. The gift catd die makes it easy for gift givine, especially for the men. Great idea and then it can be personalized which makes it even better. The Tag Its are very good this release. Love the way you made the wreath with the twig. And the background makes it even more versatile. Nicole and team thanks for sharing. I love the creativity of your use of stamps in the samples today. Such great sets. And I’m loving the new dies. The wine tag and the greeting card die are just so awesome!! I am in love with the new dies… so wonderful for Christmas pressie making!!! The new think big is awesome too!!! Here comes Santa Claus…..
Love everything revealed today. Your samples are just beautiful. Love the gift card holder die. 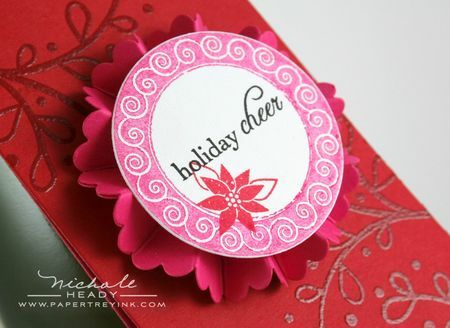 I love the wreath you created with just that little stamp! The gift card holder is also genius! the Winterberry set is calling out to me: I love that style of art, and the branch and tree look so fun!! And your Ordinary Miracles card in the orange and yellow is to die for!!! Love, love, love it!!! LOVE the winterberries, that looks like it will be a very versitile set. Also loving the gift card die. How handy will that be to crank out! Clean and classic! Wonderful creations and I think the gift card holder is a great idea. More and more I find myself turning to gift cards and at the very least I like to personalize the holders. All the projects today just shout Papertrey style – clean, graphic, beautiful! And more dies I need to add to my ever-growing collection. It will be hard decide on my “have to haves” this month. On, and like all above, absolutely love that holly wreath! I do like the holly wreath. But I also like the rest, I always do. The winterberry stampset and the tag-it’s #9 are already on my wishlist. Love Winterberry!! I’m sure I only visited yesterday (our time) and look how much I’ve missed. For a minute I thought you had posted all the introductions by accident! I love the tag series! Wonderful, wonderful. Love everything so far this month. The gift card die and wine bottle die are awesome! Christmas is coming early to me this year! I love the fun element to today’s release – no stodgy Christmas fare here! The think big favourites will be a great addition to my Christmas card making – they make such a statement! I have been WAITING for a gift card die like this forever! Of course PTI comes through for me – it will be one of the most used dies in my collection I’m sure! Winterberry set is so cute also – love Heather’s simple style and I have Little Bitty Bird so I will be pairing those sets up! I am just beyond thrilled with all the new goodies! I love the wine bottle tag, how cool! and the new larger sentiments, must haves! EEK and the wreath you stamped, how cool is that! Love it! The dies will add another personal touch to gift giving. Your projects as always are so inspiring, but the Christmas wreath made from the tiny evergreen sprig is jaw-ropping gorgeous! Oh, my! Love today’s reveal! At first I was thinking I didn’t need the GC holder……but then when I saw your decorated one and how it worked, I knew I would have to buy it. Such a neat, neat die AND so many other wonderful stamps!!! Loved today’s reveal! Winterberries are so cute! I’m always amazed how pretty they look in snowy days! And now you have them in a stamp set! Cute! love the way you used it in other colors! Also, those dies are great ideas! who do not give wine or gift cards as presents? Seriously loving the gift card die…I feel that being added to my cart! I can’t wait to get my hands on Winterberry! Love that leaf sprig. The new dies are such a pleasant surprise too. Another great group of products and such beautiful projects! The gift card die is going to come in very handy. I can’t wait to start making my christmas cards & gifts!! Loving the gift card holder die! Wow, I was hoping to have a break from buying this month as I already have such a lot of holiday sets but your gorgeous samples have wooed my yet again. The new larger dies will be so versatile. I love the winterberry set. I also think the gift card die is very handy. The wine tag die is SO cool! I can’t wait to get my hands on that 🙂 As usual, I’m blown away by all of the wonderfully creative ideas that the DT has prepared for us today. Thank you! LOVE LOVE those winterberries, so versitile al year round too! Just like the gift card tag…..brillant!!! It’s rare when I have to have EVERYTHING revealed on a particular post…today is one of those days! Love that Winterberry set. Beautiful in its simplicity! Wow! There’s not one thing that doesn’t blow me away! Love the gift card holder! I’m crazy for the dies this month! So perfect for gift giving and the stamps are so beautiful too. I think I love the new think big the best! Oh I see several items that need to find their home here with me. Heather’s holly set is a definite keeper. Love Lisa’s die, too. Great samples, Nichole. love all of the new dies!! I lOVE it all!! The giftcard die is perfect!!! I love the stamps & samples!!! The wine bottle tag is such a great idea! Been needing something excactly like that!!! I love Heather’s style, and Winterberry is just so rustic and elegant. A must have for sure! Oh la la, the gift card holder die and the wind die are so much fun. That winterberry looks amazing!! The big sentiments are awesome! OK, it’s all good! Winterberry, Holly & Gift Card Tag It! Hurry release…I’m ready to start the Christmas spirit!! Love that little wreath made with the holly sprig! Another great reveal! I try so hard to behave but now I see so much I must have. Beautiful cards and ideas! I love the new Think Big Favorites. I’m collecting them all. Finally! I was waiting and waiting for that berry branch to make its appearance in a stamp set ever since that tag set from last year. I love berry branches and the impression plate with that design is my absolute favorite! Love, love, love the gift card holder! This die is going to make gift giving so easy this year!! The gift card greeting die is on my list. So many possibilities of using it all year long! I love your classic holiday wreath adorned with the bow from Maile’s set!!! Gorgeous! I am sooooo thankful to you ladies at PTI for that gift card greetings die! That 1 thing will save me soooo much time this year. I give just about everyone gift cards for christmas. THANK YOU! Love the holly made into a wreath! Winterberry is beautiful too. I would have so many uses for those along with the Wine bottle tag. Well, everything else too! WOW!! I love the way you mix it up!! I am partial to making gifts fun and I am in love with the wine bottle tag and the gift card holder. I can see so many uses for them! Winterberry is adorable! I love all the projects you made with it. Gorgeous, it’s all gorgeous. Love the new dies, living in a wine growing area the wine bottle tag would be super useful. Oh my, you are killing me with all of this fabulousness!!! I am loving the new dies! The gift card is a definite must-have!! Oh what clever dies! and winterberry is sweet and versatile. And the wreath from Tag its 9’s is so clever. Love the new dies and the choices for the new think big favorites and both of Heather’s new sets. I especially love the sideways orientation of the new gift card die. I cannot wait for my order! Really excited about the new dies–I will definitely use them a lot! Just love the Winterberry set – so versatile for the fall and the winter (am not thinking spring and summer right now, but bet it could get some use then, too!) 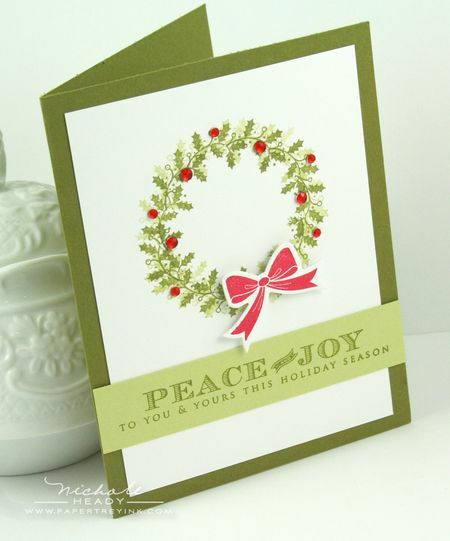 The wreath card is just so perfect – just enough pzazz, yet flat enough to mail! The gift card die – just a great idea! Keep ’em coming – can’t wait to see the rest of this release! I am loving the new dies this month, and I love your wreath card, thanks for a chance to win! Such wonderful dies for gift giving! Winterberry is beautiful and I adore your wreath! Wonderful projects and stamps, thanks for sharing your talent! I give a lot of gift cards as gifts, that die would be perfect! I love it and the wine tag is great too. I will be able to whip up a nice packaging in no time using the wine bottle and gift card dies. Love! LOVE the new wine label die. I actually hand cut several of these last year for gifts, and it was a bit tedious. And the background made with winterberry is my favorite! Beautiful stamps and cards! That gift card holder die bestills my heart! Wow! How easy. Oeh, those Winterberries are perfect!!! I’ve been looking forward to some cards from you since I saw the peak!! Love those shapes and looking sooo much forward to using the birdies from the regular set with this as well!! love all the cards you show us today!!! The new dies are perfect for the holidays! Gorgeous projects, as always. I just love the wreath you made with the holly sprig from Tag-its #9! I am SO excited about these two new dies. Dies give me more time to create and since time is precious working full time and raising three kids, I am all for them. So many incredible products this month! I’m lovin the gift card holder, so many year-round uses for that. Love these new sets! The wreath is simply amazing! Can’t wait to try it myself. Love the gift card holder and the new Tag-Its die. Thanks for the chance to win! I tend to give a lot of wine as gifts, so I love the idea of a wine bottle tag die. It’s so versatile too! I love the gift card die! It’s perfect. What a fabulous offering of new products! Such a cool tag for wine bottles! Love these! The gift card die is awesome, and the wreath card is simply stunning. The gift card die comes just in time for the holidays. It will be easy to coordinate the envelopes with the gift card. The card with the wreath is beautiful and looks like it could be mass produced. Everything looks great! I love the gift card die!! What a great addition to my gift-giving arsenal!! I’am always amazed at all the inspiration you deliver month after month. I love the winterberries and the wine and gift card dies are perfect for my type of gift giving. I love it all…is that surprising? I can not wait to get to play with these sets. My Christmas cards are done for this year but I have plenty of time to play with possible designs for next year! Thanks again for such fun sets! These two posts sure gets you in the Holiday spirt. Love the dies – these sure will be handy little items to have not just for the holidays but all kinds of celebrations! Love the tag it’s and the big sentiments this release. Fun stuff! Thanks as always! A gift card die and a wine tag all in one day — I can hardly stand it. Loved all of the projects today. I love holly so the wreath created from one sprig was my fav!!! Wow two posts today and a lot of great new stuff. I love the gift card die. This will be so great and quick for making great packaging for gift cards. Another great sneak peek!! Love the Think Big Favorites! and that Bottle tag die is super! A wine bottle tag and gift card die? YES PLEASE! So great for this time of year! Love the Winterberry set, and I need the tag-it 9 in order to make that wonderful holly wreath. Thanks for the inspiration! Wow, you’ve made gift giving a snap! LOVE the possibilities for the wine tag and gift card dies. My head is spinning with ideas. Well, I think I may have found it … I think Winterberry will be the set I use for my holiday cards this year. Of course I’m sure once I see more of this countdown, my decision will probably change! Too many beautiful choices…but, that’s what we’ve come to expect from PTI! I totally love the wreath made with the little sprig…so pretty! And the gift card die is definitely calling my name. Thanks PTI for the joy, inspiration & excitement you give each month! The wreath is beautiful. I love the newest addition to Think Big Favorites. I’ve been hoping for this one. The font is one of my favorites and the holiday sentiments are wonderful. I love what we’ve seen of the winterberry set, both in red and green or in other colors for fun backgrounds. I think I will be ordering this set! The gift card die is just the best! I’ll be getting alot of use out of that this holiday season! I am all over these dies!!!! AWESOME WORK! I can’t even tell you how much use I am going to get out of that Giftcard Greetings die ALL YEAR LONG! And the Wine Bottle Tag will be perfect when giving wine to party hosts and clients. Again, you have read my mind and given me EXACTLY what I need! Thank you. The new dies are awesome!!! The Winterberry set looks gorgeous in non winter colours too! And the large sentiments are fabulous. I’m excited about everything in this post. The Think Big Favorites and Tag-its automatically go into my cart each month. I’m a huge fan of Heather’s designs and Winterberry is no exception. The two new die introductions are both fantastic and will come in so handy. LOVE LOVE LOVE it! Wonderful release this month 🙂 can’t wait to see more! I love the new die for gift cards. The Winterberry Set is wonderful – can’t wait to add that to my collection. love the leaf sprig image ! hurry the 15th! Outstanding! I am *almost* in the mood to start Christmas cards. The new dies will be very useful for gift giving. I LOVE the gift card holder!!! What a timesaver it will be if I’m lucky enough to get one before it sells out!! Each and every month. Fantastic! I love everything Heather produces, and her sets this month are no disappointment! I’m also excited about the new dies, for topping bottles and enclosing gift cards–perfect for holiday gift-giving but useful year round. The gift card tag will also come in handy. What a cool bunch of stamps and dies! I especially like the stylized leaf sprig image from Winterberry–I can think of lots of year-round uses for that! I really like that gift card holder you made. These cards are all so fun! Totally LOVE that gift card die, oh yeah!!! The tag it’s set looks so versatile! What a fantastic day two! I adore the holly wreath card and the gift card holder is the best. Once again, I love them all! How did we ever make beautiful cards without these dies? I think dies are my favorite tool without a doubt!! I really enjoy release week. I love coming to look at the fun new sets, different color combinations, and to get inspiration. I love all the different looks you can get from one set! I just love this time of every month! Cool! I love the gift card die! 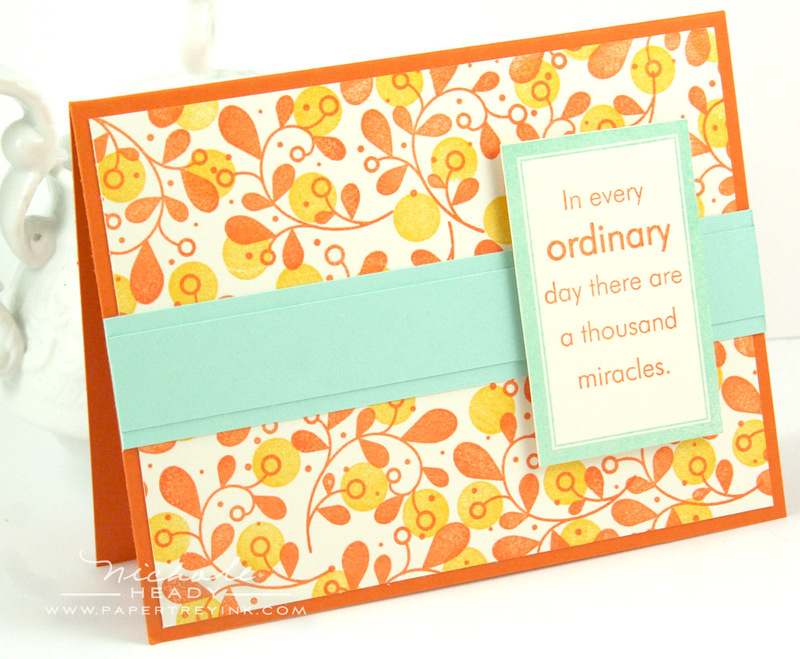 And that orange and aqua winterberry card is fantastic! Love the holly wreath! The gift card die is also great. Perfection! Every single item in this release is amazing, beautiful and simply perfect. Thank you again, for your creativity. Love the new dies. The gift card holder is perfect and so is the wine tag. I love the Winterberry set! I love the wreath you created and I also like how you show cased the versatility of the set by creating a non-holiday card. Love what you did with the gift card die and Tag-its#9. I was going to place and order now I am going to have to wait for this release. LOVE the possibilities for the Gift Card Greetings die! The non-Christmas/winter way you used Winterberry with Orange Zest and Summer Sunrise polka dots is definitely inspiring. Thanks for the chance to win. Love the Winterberry set and the gift card holder and the wine tag and the holly sprig and, and , and…Oh I just love it all. Very excited about the gift card die….I am surrounded by teenagers in my world and that’s all they ask for! PERFECT! Great ideas today! The gift card die is awesome! Thanks for the chance to win. Lovely cards and gift ideas……. my mind is awhirl with holiday creations. Thanks! Wow–gift tags, super easy. Great idea. Thanks. I love, love, love the new dies. The gift card die would save so much time. Your cards always inspire me to think of different ways to use a stamp set instead of just a standard theme or color. Great stuff! The wreath card is simply gorgeous. I also love the new gift card die, and the backgrounds made with the branch and leaf images from Winter Berries. I love all of Heather’s stamp sets and have almost every one. This is a great set as well. I also love the gift card holder die and the wine tag. Such great ideas & wonderful inspiration! I LOVE the bottle tag die, I already have a million & one ideas for them! I love the Winterberry set too & look forward to pairing this with Little Bitty Bird! Love all your projects today. Thank you for the inspiration. I am so excited about that little sprig of holly!! I l;ove the wreath and the gift card holder!! I am so excited about the gift card holder. I make these a lot, and it will be so nice to have a die so I can do it without effort. Beautiful! That winterberry branch has so many uses, would love to have this! Thanks for the great reveal today. Love it all! The gift card holder is a great idea!! Winterberry looks to be one of those sets that I pull out and use a lot! Love the new die cuts too. The wreath card is very clever and lovely! so many things to love! the gift card die, the winterberry set, and since I can’t get on your second post I’ll talk about that too. I love the strength and hope set and your donation to the cause. The holly wreath really is so perfect in every way. I love the wine label tag also and can think of so many applications for it. Turning into another fab month! Beautiful projects! That giftcard holder is brilliant…I give giftcards all the time. I love winterberry too! Stunning samples – great new dies! I love heather’s designs and what you have done with them. The wreath is beautiful!! So happy to see the gift card die too!! Wow.Wow.Wow. Another awesome day of peeks and inspiration! Love Heather’s Tag-its and the Gift Card Die – you guys did it again! Another great month!! Love the winterberry set, can’t wait to see it all. The gift card die will make life so much easier. Looking forward to the rest of the reveals. Once again, I’m amazed at what you DT girls come up with. Love Heather’s tree/branch set and LOVE the wreath that you came up with from a simple holly branch! Never cease to be stunned and inspired. Those dies are great too. Thanks again! This is going to make gift giving so much easier this Christmas! Love it all! Great wreath! And the gift card die would be well used at our house, good idea! Another fantastic release post filled with awesome new goodies! I love the gift card holder and am so excited to use it, since I do buy lots of gift cards for people at the holidays and throughout the rest of the year. Your projects are beautiful, as always! I love the wine bottle die and the big bold poinsettia die. They can make great gifts for the holidays. Oh my gosh, I love everything today! Every time I see a new item I change my idea of what to make for my Christmas card this year! Maybe I’ll have to do assorted instead of just one style! The gift card holder and wine bottle tag die are perfect for any time of year. Can’t wait to get my hands on them and start creating! Love the gift card holder..can’t wait to try that one out! I just love the new Winterberry set and can’t wait for that gift card holder. Wow!! So much great stuff in this post…I love all the new dies and the gift card die would be fantastic for just about every event…birthdays, thank yous and the holidays. I’m so in a Christmas mood! Love the new dies…especially the gift card! Oooh, my fave thing here is the gift card holder, no more trying to make my own, yippee! Love that Papertrey knows how to get us into the Holiday mood love these new stamps! The winterberry sprig and tree looks so wonderful, gift card holder, great idea! Wow! I love the gift card die! I also love the wreath you made…stunning! I just love all that Heather touches! Her sets are right up my alley. Thanks for all you’ve done with them – I have lots of ideas swimming around in my head. The new dies are certainly very versatile too – can’t wait to get my hands on them! I am so blown away at the talent in design and use of these beautiful stamps and dies. Every month I am more amazed. You gals just keep coming up with better and better ideas. I love PTI!! All I can say is – oh my – thesis going to be a bad month for the pocket book again! Love the dies…ingenious about the wine tag. My favorite is the wine bottle tag! Love everything that I have seen today!!!!!! What a great countdown! I absolutely love both dies and these stamps look just like my style. Thanks for all the ideas and inspiration. So many great products in today’s post….not sure where to begin! I love the winterberry set – to versatile. And of course, the gift card die is a “must have” because I am always on the hunt for new ways to package gift cards. All of the samples are gorgeous today! I love the color combinations you used today, especially the Wine Bottle Tag. Gonna have to give them a try!! Amazing new sets and dies! Your holly wreath is awesome..I love it! Thanks for the new dies..it’ll really help fill a void in my collection! Really loving the Tag It #9, and love the wreath card you made with it. Looks like another irrisistable month!! I really like the new Gift Card Greetings Die. I give so many gift cards every year this will make it quick & easy to personalize them. I love the gift card die cut. I would be able to use it a lot. I also loved the way you made a wreath with the holly leaves. Very cute. I can’t wait to order. The gift card holder die is genius!! I love the bottle tag too. Thanks for the great ideas for the new products and for offering the great prize! I totally love the wreath that was created with the holly sprig! I can see that I’m going to have to do that myself! I love the swirls on this months Tag It’s! I can see these being both elegant and playful! Also, the think big stamps will be a wonderful addition for making my holiday cards! I really like the Think Big Favourites this month– that will definitely be going into my card! Wonderful presentation today. I love the new gift card holding die – perfect for the upcoming holidays & so useful for all those teacher gifts at the end of the year too! Also loving the impeccably executed design of Pine’s Winterberry collection – absolutely stunning! Thanks for the chance to win such a great prize package! I love the gift card holder. The winterberry set is beautiful. I am loving this release. Wow! All of your projects today are amazing! I especially love the wreath you created with the leaf sprig–brilliant! Love the new dies!! So cool. Thank you for the chance to win! I love the wreath you made with the tag-its #9 stamp. So beautiful. And the Think Big set is my favorite one of the series. And the gift card die is fantastic! Love everything this month! Loved the wreath. The gift card die is great. 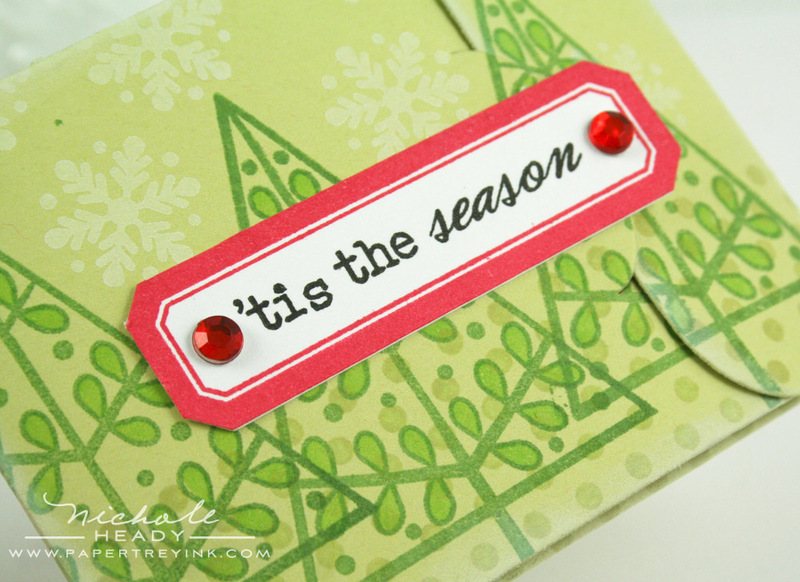 the gift card holder die is the best yet – the winterberry set looks fantastic – love the wreath card – today is a great reveal day – looks like i’ll be spending a few $$ this month! Love the new dies! And that Winterberry stamp set looks like so much fun! Beautiful holiday projects Nichole – that gift card holder is superb and I just adore the wine bottle tag you created! I’m so excited about the gift card holder die! And just in time for Christmas gifts. LOVE the gift card holder! Can’t wait to get it. And your holly wreath card is gorgeous. I am in love with the two new dies you showed today. The wine bottle tag is just perfect for so many occasions. I can see myself using it not just for the holidays but all year long. And who doesn’t love to give gift cards, such a perfect gift. Can’t wait to see what else is coming this month! Fantastic! Love the wreath card. That wreath card is super sweet! Love the little scalloped medallion you created, so much FUN! 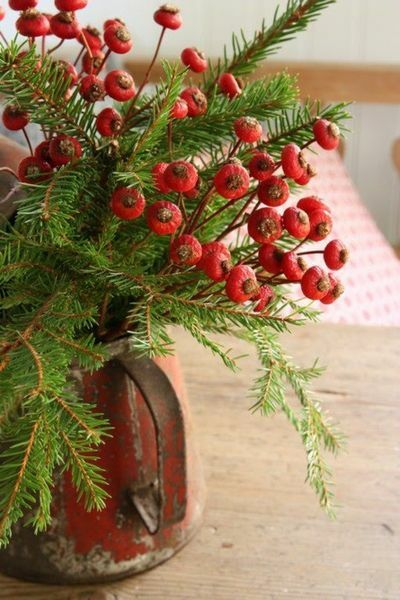 I have always loved decorating with berries at Thanksgiving and Christmas, they’re just the right thing to make your house homey and complete. I’m going to love making cards and tags with Heather’s Winterberry! And the one piece gift card holder goes to the top of my shopping list since that is what I give the most of…. my kids would rather go buy what they like on their own. You were right! This is a terrific release! I think that I love the gift card die most of all. I love the gift card die and the winterberry set!! This release is just great! I love the wreath you created with that holly spring! Great new products once again. So excited about Heather’s Winterberry set. I love what she’s done with it. Also looking forward to the giftcard set. Yay! I love the gift card and wine bottle dies!!! Gift giving will be so easy this year with these fabulous additions! LOVE the gift card die! Can see myself using it over and over all year long! All the new sets are great. I love the big sentiments. 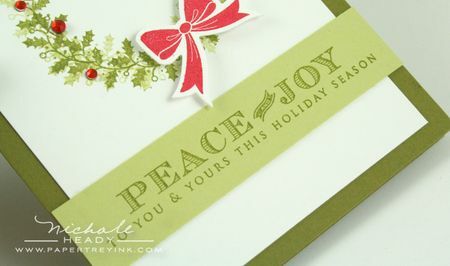 As always I love seeing stamp set used in multiple ways like the Holly berry. This is such a great release. Can’t wait to see the whole thing. Would so love to add this to my stamps and dies. You have made gift giving very easy. Love the stamp sets, too. I love the wreath project you created. All the projects today are wonderful as usual. I love all the little sprigs/branches from Winterberry and Tag it’s. And what a great time of year to bring out a die for gift cards! How many of those have we made by hand, cutting/scoring, etc. What a great time saver! Love the winterberry and how versatile it is. I LOVE the tree from the Winterberry set. For some reason I automatically think of Charlie Brown in Peanuts…ahhh cant wait to pull out all the Christmas movies and watch them. A Charlie Brown Christmas is always the first! I love the wreath …….. I love the trees …….. I love the wee branch and the frame fro Tag It’s 9 ……… what can I say I love it all!!! I’m looking forward to the reveal of the Winterberry set and the Tag-its #9!. 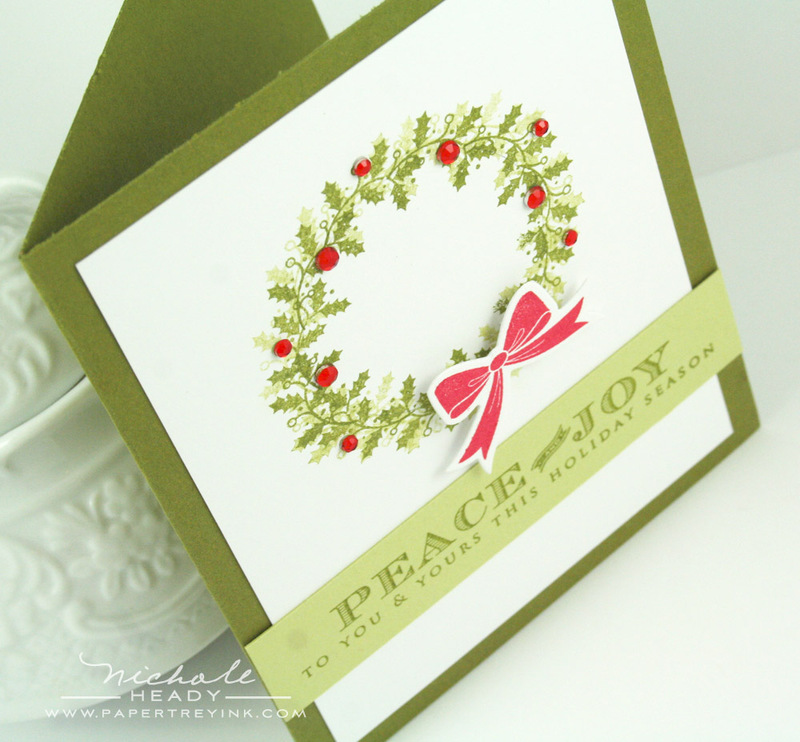 I love the card you made with the wreath, and the new dies are wonderful! Wow!! I love them all, its going to be so hard to stick to my budget!! Oh my! I absolutely adore Winterberry. The gift card holder is wonderful. I can’t wait to get my hands on these two items. I just love all the holiday stamps and die cuts that you have come up with this release. I am very excited for the gift card die. I want to make gift card holders every year but always run out of time, this will make it so much easier! Winterberry is such a perfect example of Heather’s style. I love it! And the gift card holder! Yay! Love how you made that wreath. On my gosh, you have the best dies!!! I was hoping for a wine bottle tag die and here it is just in time for the holidays. Gift cards are so popular now. I would love to be able to make cute gift card holders with this die. I also love the wine bottle die. What a great release! 2 amazing dies that will be in my cart on the 15th. I am so swooning over the dies I can’t even tell you! 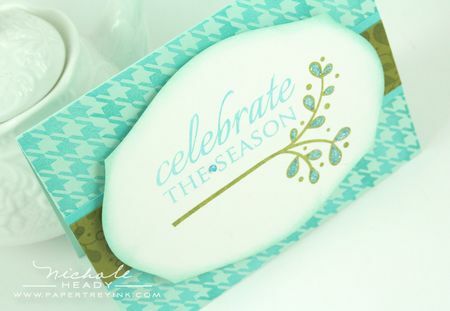 I just love the new dies this month, what a fantastic idea to create wine tags and gift card holders, and so versatile as well for other projects. And the Winterberry set is fantastic, so pretty. Love it all! OMG!I love the gift card die…I have been making due with what I have but this is the most awesome! Loving these new dies – makes gift giving so simple. I am into wreaths this year – the card you showed is stunning. I love that it’s flat and easy to mail too! OMG! I love the gift card die. I have made due with the various dies but having one specifically for gift cards will be awesome…Thanks!! More great release stamps and dies! My favorite is the giftcard die! I’ll be using it a lot! Awesome! This new gift tag die came in perfect timing for the holidays! And the samples are absolutely stunning. I like the Winterberry set and the gift card die. And the Think Big. Lots-O-good stuff, once again. So much loveliness to take in today! Everything is beautiful. These are some beautiful sets! Heather did a great job on the Winterberry set. I love her style. Looking forward to using the gift card holder as well. Great addition to the die line! I love the new wine bottle tag! I’m also looking forward to buying the gift card die, both of these will come in handy for Christmas, birthdays, and hostess gifts. Loved how you made the wreath from the Tag Its set, so elegant with that fine holly sprig. Also have to have Winterberry. I LOVE today’s samples!!! I’m so excited about the new dies!!! Can’t wait for the 15th! LOVE Winterberry and the wine bottle and gift card dies will be fabulous additions to our decorative gift-giving arsenals! Thank you, PTI; can’t wait to add these to my collection! Love the wreath you made! Gorgeous… Love the gift card die as well. Wow another set of stunning projects! You are blowing my budget with all these great dies!! I love them! The Winterberry set has certainly caught my eye! and the gift card holder die – now that’s a real treat! The gift card and wine bottle dies are brilliant. I can see using both of them for a lot of different things. your team is so creative. Gotta love the gift card holder. It is perfect for this time of year. the cards from tonight are just beautiful. The gift card holder die is PERFECTION! It is an absolute must have! I am also loving the Winterberry, and know it will be coming home with me! I am just loving everything this month…as usual!!! What an awesome suite of holiday images! Very versatil products! So my wishlist for this month keeps growing – added after today’s post . 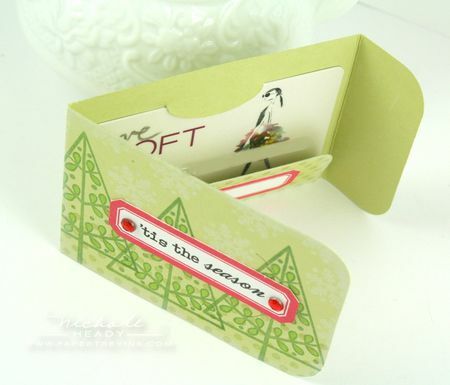 . . Winterberry, Tag-it #9, and Gift Cards Greeting Die. Love the use of the holly leaves to make the wreath! Wowww….love ALL those cards!!! So gorgeous and beautiful!!! Thanks so much for sharing you inspiration with us all! winterberry is so cute. i also love the new gift card holder die. that will be perfect for so many occasions. thanks. I love the winter berries. They are wonderful. WOULD LOVE TO WIN! I really love the look of wreaths. Your wreath is perfect! Love the winterberry set and the card holder die. So much to like out of this release. Oh my, Winterberry is irresistable! Love that it is such a veratile set for use throughout the year! As is the gift card and wine bottle dies. The hits just keep on coming from PTI! All of the projects are beautiful! I especially like the dies because they will allow me to make quick and professional looking packaging for numerous gifts in the years to come. The holly wreath card caught my eye too! LOVE the wreath made out of the holly sprig! Beautiful! Love the new die cuts and the winterberry stamp! love! that gift card holder die is just what I needed. What beautiful creations! I love the gift card holder design and the wine tag! Great ideas! Gift card holder diecut!! How useful that would be to create quick gift card holders! Teacher gifts here I come! I really love the wine tag die and gift card holder. Their uses are endless…. The wreath card you made with the new $5 tag set is GENIUS!! The gift card holder is awesome! I love the bottle tag too! I have loved each of the giant sentiments sets you have released and I *adore* the new wine tag! Fabulous!!! I love the tree gift card holder. I love everything else too! 🙂 Thanks for sharing. Love the inspiration. Wow, such great items being released this month. I am so excited about the gift card. Brilliant!!!!! I love the die cut for the gift card. I am always looking for ways to package those gift cards. Cute ideas today! I give lots of gift cards through the year and I adore the gift card holder! I can think of many ways to use it throughtout the year. Love the new releases for October. Can’t wait to see the rest of the week’s releases. Love the winterberry set. Beautiful projects!!! Love your design using the new wine tag die. All the creations from the DT continue to amaze me. Truly inspirational for the upcoming holiday season. i ADORE the wine tag die cut. i give lots of wine and this is the perfect way to pretty it up! what a killer release! These are a great addition to our already terrific holiday stamps! I love that you have created the larger sentiments for our holiday cards…Think Big’s are the best! Love the Winterberry set and the gift card die. I love it all! I LOVE the gift card holder…will save me tons of time this year. All the cards are so beautiful! Oh my, your wreath card is fabulous but I love them all!! My head is spinning with all the possibilities. I love the holly wreath made from the sprig. And the gift card holder is so pretty! The projects from the $5 sets are always so nice! The wine bottle tag and gift card holder are going to be must haves for me this month. (I could have used that wine bottle tag yesterday for the birthday bottle of wine I gave a neighbor.) The gift card holder will get a lot of use fro Christmas and birthdays. Love the wine bottle die and the gift card die. Nichole that wreath is stunning. Add two more sets on to my list. lol Today was so Chritmas inspiring. Thank you. 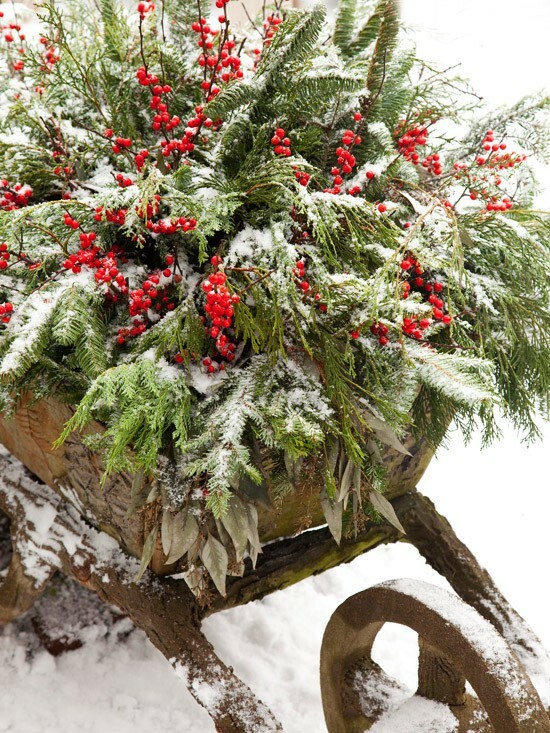 I love the photo of the winterberry in the wheelbarrow! Gorgeous! The fonts on the new holiday tag set are just gorgeous, and would be so useful with tags & cards! I’ve never seen a die for a wine bottle tag before, so great thinking!! The non-holiday card using Winterberry is beautiful! I am always impressed by your creativity. The new stamps and dies look like so much fun! I really love Think Big Favorites! Fabulous! Love the gift card holder and the holly wreath card is sooooo pretty! Wow! Amazing holly wreath! I can’t wait to get my hands on all of this! The new Tag-Its is just spectacular, and I’m completely smitten with that tree from Winterberry! My oh my! I’m loving the dies!! And, that wreath from the little Tag Its image is just genius! I LOVE the new giftcard die! That will make year-round gift-giving a lot easier. I love how Winter Berry can look elegant or rustic! That gift card holder is AMAZING! So many amazing new products! Loving the new dies….so versatile! They will so be in my cart! I really love the holly wreath card!!! What a beauty! Thanks so much for the inspiration. Your holly wreath card is gorgeous! Wahoo……all those fabulous dies!! AND I saw on Mailes post that the Tag Sale #5 coordinates with the wine bottle tag…..what a bonus!!! Gift cards are considered a “staple” at our house around Christmas time so the gift card holder would get tons of use!! In a word, FANTASTIC! Love it all! Everything is absolutely wonderful! Really getting me in the mood to start tackling Christmas projects!! Can’t wait to get my hands on that gift card die!! I just love seeing the versatility of the smaller stamp sets because the only thing small about them is the price. Of the items showcased today, the big sentiments and the gift card holder are favorites. I’m ready to zip right past Halloween and Thanksgiving and focus solely on Christmas. Thanks. Seriously fabulous designs. So excited and your projects are awesome. I love Heather’s new set – her rustic style appeals to me so! Love the wine gift tag die idea too – no more hunting for those wine bags for all sorts of occasions! Thanks for the chance to win! Loving all the new holiday stamps this release! Thanks so much for making this die cut for gift cards. It will make life so much easier. Great idea!!! I am such a sucker for wreaths, so your use of the little holly sprig wreath made me ooh and aah. I love the wine bottle die too! I’m really loving the bigger sentiments, so that is what caught my eye! Love the wreath created with the ivy from tag-it #9!!! Wow! And the die for the gift card will come in so handy for my older nieces and nephews Christmas gifts. Love it!!! Love the gift card holder die and the wine bottle tag die. All the projects are great! I love the holidays and have gained so much inspiration from what I have seen so far. Can’t wait to see more! absolutely fabulous and so needed! Liking all the stamp sets and the 2 dies showcased today…my wishlist just got longer this morning. Thanks for another chance to win some awesome crafty supplies! I thought I had missed a day….bonus!!! Love Love Love the tag its wreath. Love, love the gift card die…..easy peasy!!! I am in love with the holly sprig wreath card! And it’s so nice of Nichole to let us know that even she uses a lightly drawn circle instead of trying to do it free-hand. I think I can do this! The gift card die just made my life so much easier. What a great addition to add to my stash of dies. Loved the wreath card also. The gift card holder will be in my cart on release night. Love the winterberry set so whimsical! These new dies are real show stoppers! I can see getting a TON of use out of them year round! Love all of these – not sure what to choose! LOVE the new dies!!! The gift card holder die seems like one of those ‘duh!’ ideas that I would have never thought of in a million years!! That’s why PTI rules!! You think of everything! As always – FABULOUS! I really, really like the Winterberry set. The Winterberry set is so great and versatile. I can’t wait to play with it. Fun stamps…always love the Tag-its and the leaf sprig and berries images are delightful. The new dies are really good too. The projects are lovely. Thanks for the chance to win. The gift card die and wine bottle die are AWESOME!!! They will be coming home to stay with me. 🙂 Love them!!! This is the best Tag Its set YET! They are all great, but I’m especially drawn to this one! Love everything about this post today – so colorful and inviting! Love the gift card holder die! Perfect! I can’t wait to add that to my die collection! Think Big and Tag-its are great additions too! These are all great stamps!! Love the gift card holder die & the new think big favorites set!! The wine label tag and the gift card die are just truly amazing! So many different applications and so many great gift giving options. I am in love! Oooh, those two dies, the wine tag and the gift card holder will be so useful all year round! I love the girt card die cut. It will make life so much easier. The dies are so addictive. I really want them all. Aaaaahhhh! Amazing…the gift card and wine bottle tag dies are must haves! Really cute wreath card and I love the bigger sentiments. Love everything this month it is a budget buster. Oh my ganache! I’m starting to love the die releases as much as the stamp releases – they are both so exciting to look forward to each month. 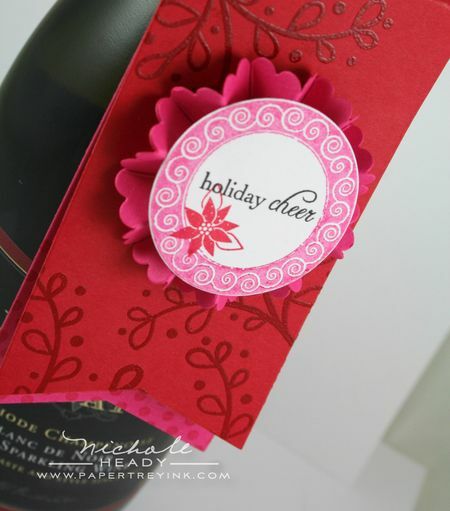 I LOVE the Wine Tag and Gift Card dies this release – a definite must have. PTI keeps knocking it out of the park! Thanks for the chance to win this generous prize! Everything is so beautiful! Love the winterberry!! Oh, it is about time 😀 I have been needing a gift card holder. I like the format of this one. You are so clever – I love how you used the holly to make a wreath! Think Big Favorites and Tag-it’s are on my shopping list every month. I really like the wreath card, I will have to try that. I am really looking forward to getting the gift card holder die. I love to give gift cards. Even if I can’t find, or know, that perfect gift for someone, I usually know where they like to shop. Wow! Really amazing! I love the branches and the two new dies! Just an incredible assortment of inspiration today!Love it all! another great month of wonderful stamps and dies. Love the holly wreath! You guys continue to amaze me. Examples are fantastic – as always!! Okay, so when I first saw the wine bottle die, I was ambivalent. I don’t typically give wine as a gift. But Maile’s idea to make door hangars with it?? Superb! So excited about that. I love this month’s tag-its border… So snazzy!! Def on my must-have list! Thanks for sharing all your wonderful ideas. I’ve been wanting a quick gift card idea. Can’t wait to order. Wonderful timing of these 2 new – fantastic – dies. Both the gift card holder and bottle neck dies will get plenty of use. Love the winterberries. It seems like such a versatile set. That wreath…too cute! I totally love the wine bottle die. There’s no need for wine bags now! There are just so many wonderful things this month. Decisions. Decisions. The wine bottle die, love it!! Perfect, got to have it! I love everything. I really have to have the Tag It’s #9, The Gift Card Die and the Wine bottle Tag Die. There are so many ways to use them! Love all the Tag its but the Holidays are always my favorite time. Once again you show how versatile these sets are. Your holly wreath looks real with all its bling. Your handmade patterned paper is gorgeous. Love the other color combos you chose to showcase these new products. Think Big Favorites will be perfect for any themed holiday cards ~ a must have! I absolutely love that wreath you made using the little holly sprigs. How you ever saw that in your head, I will never know, but it was so creative and gorgeous. The gift card die is going right into my cart! What a fabulous idea! More wonderful new things and fabulous projects! I especially LOVE the wreath you made with the sprig from Tag-its #9…it’s so great when such a little set can make such a big punch! I am looking forward to the Winterberry set as I have always admired the use of botanical images, especially for winter holidays. Also, the new Tag-its holly sprig for wreath-making also caught my eye. 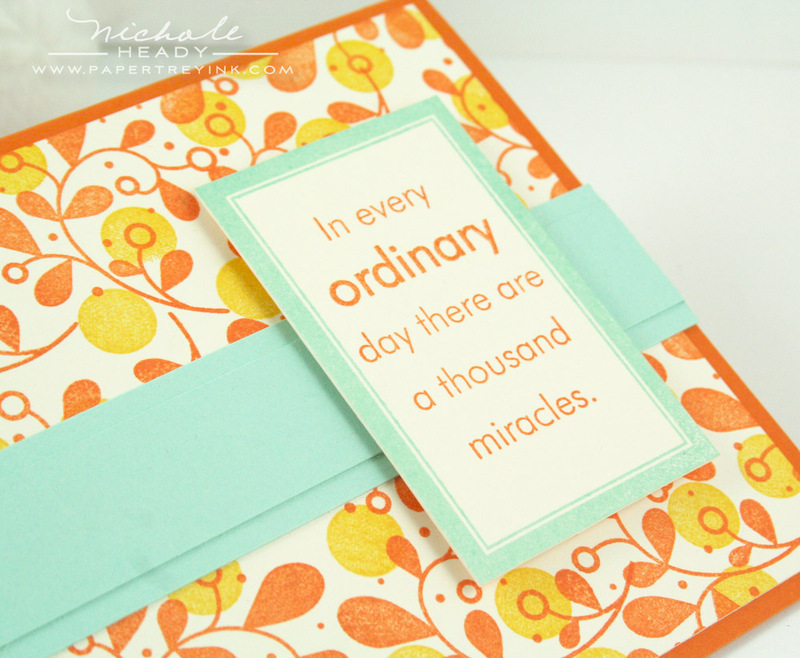 I love the new Think Big Favorites #9 set and the gift holder die! Love that holly wreath! And the bigger sentiments are the best! Thanks for all the inspiration! Love the gift card die and wine bottle die! I hate trying to make them on my own so this will be so handy! Your card with the holly wreath is absolutely stunning! Love all three sets and the new dies..the holly wreath is so gorgeous! I love the gift card holder! Great die! I am just amazed by all the creativity that comes from this blog! Seriously, how do you do it? That wreath is awesome!! Must try that soon! Love the two new dies! My go to gifts are gift cards and wine so now I can put a personal touch on each this year! The new stamps really do get you in the holiday mood. Beautiful samples and so versatile. Look the wreath. Everything is fabulous, especially the giftcard die! Love it all but can’t wait to get the gift card greeting die and the winterberry set. Thanks for all the creative ideas as always! I just LOVE the gift card holder…there are so many possibilities with it. The Christmas cards are beautiful, and I also really like what you did with the orange and yellow non-Christmas card. So many options with your products!! I am loving the gift card die! I give lots of gift cards, this is perfect way to personalize them! My favorite is the Peace and Joy wreath card. I am just always so amazed at all the clever products and fantastic projects you come up with every month! Can’t wait to see the poinsettia dies done with felt and the gift card holder decorated for birthdays. Thanks for putting on these countdowns every month, it’s always a little happy something to enjoy and be inspired by — I will be picking a few favorites to play with this month for sure! I’m so glad I recently sold some old wooden stamps I wasn’t using. I LOVE this release. All of it. I want it all! The gift card holder looks so versatile and I am always looking for a quick and easy way to send them off with the kids for parties. Fabulous wine bottle tag too and so many other uses too. Wineterberries is a lovely set, puts me in a holiday mood! Gorgeous!!! More dies that I just won’t be able to resist – love it ALL!!! Every month. Every single month! Such beautiful products and projects that make them seem irresistible! 99.9% of my Christmas shopping is gift cards. I know some of you are probably thinking it is a cop-out….which, I admit, it is but I am shopping challenged! I do however, absolutely love presenting the gift cards in delightful ways (which makes up for the lazy shopping) so this gift card die would be a dream to own! I cannot wait to see the entire Winterberry set! And that gift card die is divine! So many potential uses…Thanks for the sneak peek! Wow! Cool stuff. I especially love the gift card holder! love the versatility of the winterberry stamps, you have shown how to use it all year round. Love the winterberry non-holiday card! The wreath card is gorgeous. Can’t wait until ordering day!!! I love the wreath you made with the holly! Lovin Heather’s new set, too! Wow! I just had a friend ask about a way to attach one of my cards or other items to wine bottles! You did the work for me! I LOVE it, and the wreath is beautiful! I am in LOVE with that Winterberry tree! Such a great image! I am also thrilled about the giftcard holder with no adhesive required – so perfect! I would love to get my hands on these stamps and dies!!! I love how beautiful, as well as versatile, these sets are. What wonderfuly ideas!! I have a holiday table setting called Winterberry and I love it! I am instantly attracted to Heather’s new set as they share that name and it’s so darned cute! I like what you did with the winterberry in the Fall color scheme as a background, so very pretty! 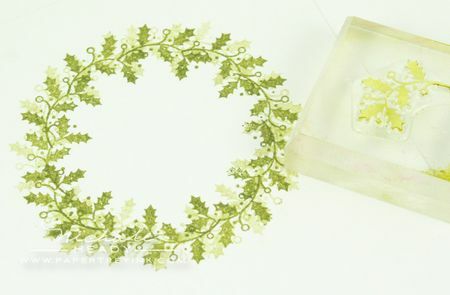 And that tag its nine set is very cool, a holly wreath and the stamp used to create it will have a lot of versatility. I love that holly wreath. As always, all the sets are so versatile. Can’t wait to get my hands on them. thanks for another great release. I’m lovin’ what I’m seeing so far . . . especially the two new dies. Another great release in store. LOVE the new dies and the latest Tag-its set is coming to my house! The gift card greetings die looks so perfect for year-round use! Love everything, as usual! to see the rest of the release. wow! such fabby projects…adore the yellow/orange non-traditional take on Winterberry set. Totally must-have stuff…love the new dies….thank you, PTI! I love the new think big sentiments and must have the new gift card holder die! The Gift Card Die is fabulous! Can’t wait to get my hands on that one! Love the bigger sentiments and the new dies!! Fabulous showcasing! Wow – What great products – AGAIN! I love the new tag-its wreath and the winterberry set – but my MUST HAVE from today is the wine bottle tag die — it is just awesome and I can’t wait to get it! The card with the wreath is amazing! I love how you stamped around a circle with the holly stamp, so cool! I’m really drawn to the Winterberry set. I think it’s something that can be used for cards, projects and scrapbooking. Love all the samples today! Will definitely need to revisit this post over and over! Thanks for sharing! OMG!!! I am always making gift card holders!! I love the die for it!! This will make life so much easier!! Thanks!! The wreath is gorgeous and it shows me that I really need that stamps. The dies are awesome, this post was full of inspiration, Thanks! Nichole, your Winterberry wreath is wonderful! And I’m loving the die for gift cards too. I can’t wait to order some of this months items. I absolutely love the gift card holder die. And I love making wine bottle tags. I am so inspired! What a fantastic release this is turning out to be. My favorite so far is the wine label die. So.. pretty. I love the wine tag die. I always give wines to my family and friends for any kinds of occasions. I definitely get this die on 15th. Also, the gift card die is must-have item to me as well. Winterberry stamp set is so gorgeous and beautiful. Tag-its and Think big favorites stamp sets are amazing as usual. I can’t wait to get them all. I love the new dies! I always am creating a bottle topper on my own, you solved that work! I love the gift card card die. It’ll be used year-round definitely! I absolutely love the gift card die and the new tag-it set! I am already coming up with tons of possibilities! Love the dies especially the gift card and wine bottle tag. Can’t wait for the release. These new stamps and dies are wonderful! I love Heather’s elegant new Tag-it! #9 is just divine! What a wonderful new release! I LOVE PTI stamps, especially the way they are so easy to combine with each other. The gift tag looks fab, that would be fantastic to use throughout the year. Thanks for continuing to amaze me with your gorgeous designs from you and your team! loving all the new dies…. I love the wreath you made from Tag-its 9! Definitely getting that. And I’m excited about the wine bottle tag too, since I often take a bottle of wine as a hostess gift. All your projects are amazing! The gift card die is perfect. Always looking to wrap those in a fun and unique way. I also love the wreath card. Very pretty. Again, everything you make is soooo pretty. The wine bottle tag is screaming my name. This is the perfect die for me as wine is a gift we love to give during the Holidays. Such a neat idea and will get TONS of use from me. Can’t wait for the release! Love the gift card g. die. Beautiful projects! Love this edition of Think Big Favorites – definitely going to be on my next order. Love the gift card holder too! I love it ALL!!!! The Winterberry set and the Gift Card Greetings die are my favorites!! Gorgeous projects, too! I love the holly! And the think big! Your dies are brilliant, I look forward to seeing more. All of today’s sneak peeks are fabulous! Loving the Winterberry stamps ~ so far they are my favorites. But also LOVE LOVE LOVE the wine bottle tag die~so perfect for gift giving any time of year! I am loving all the dies that are coming out this month. The wine tag die is going to be a must have. What a great way to dress up a bottle. Gorgeous! I can’t wait to get my hands on the wine bottle tag die AND the gift card die. They will be so very helpful when putting together a quick gift. And I love the wreath made from the holly sprig. All of your samples are just stunning! useful and I love Winterberry and the big favorites. Amazing, as usual!! OK, ’nuff said! I LOVE all the dies!! I can’t wait to get them for the holidays! So many beautiful cards….so many beautiful stamps and dies! Love the versartility of the sets coming out! Love the wreath you made and all of your beautiful cards! Loving the dies this month! so much beautiful eye candy in today’s countdown! the card with the wreath is beautiful and the gift card holder would be a welcome addition to my die collection! as always, thanks for all the inspiration and creativity. Love the holly wreath. The Winterberry set sounds amazing. And the dies will sure make gift giving easier. I really like the holly wreath card! I can always use more holiday sayings. I love it all! But, Tag It’s #9 is going to be really hard to resist! Thank you for all of the wonderful inspiration! Love the cards– the wreath and the Breast Cancer one- i am a SURVIVOR so i would LOVE that set! The daisy die is great too! I am so excited about the gift card die. Love it. And all the other sets look fabulous as well. What a great release this is shaping up to be. Love the gift card holder die! And that winter berry sprig is so gorgeous! Love the Tag It’s #9 scroll circle! So beautiful and elegant! I am also so excited about Winterberry! Just amazing! Love the wreath card! Love the gift card holder – perfect! And as always I love the Tag-its & Think Big. Really cool dies, especially the gift card holder, loving it! Love, love, love the wreath card! I am loving all the inspirational stamp sets featured here! Winterberry is adorable and clearly versatile and I must say (again) the Think Big series is one of my favorites. Can’t wait for the full reveal! Winterberry looks beautiful, and I think the gift card die is awesome too!! Wow, I love these items. What great die cuts, perfect for the upcoming holiday season. Can’t wait to get my craftin’ hands on some of these items! Those new dies look extra cool and I love the samples you’ve made featuring these new products!! 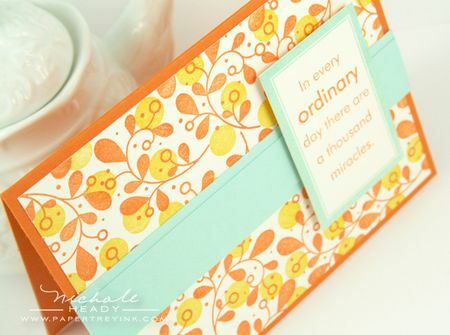 The orange card with Winterberry is super cute! I love all the surprises each month. Gift card die? YES! Wine die? YES! And I love Heather’s rustic style. Winterberry is the perfect name for this beautiful set. The Think Big sentiments are also a must-have for me. Thank you for all the beautiful inspirational ideas. AMAZING! Love the new dies and the wreath idea is swoon worthy! I have been waiting so long for a gift card holder die! I am so glad you are offering this. Just perfect for the holiday season! Love the new dies!!! It will make gift giving that much more fun to custom design with these dies! In love with the gift card die. Thanks for sharing!! I’m excited for the gift card greetings die and the latest tag-its. I like what I see so far from the Winterberry stamp set and cannot wait to see more from it. I love the products that you continue to produce! I can hardly wait to get the gift card holder die! Thanks for the inspiration!! The gift card die and wine bottle tag die are must-haves! Can’t wait to get these. And I love the new Tag it 9. I just love the gift card die… finally a great time-saving die I can use all year for all types of ocassions. So many things to love in this post. Winterberry is a set that will be coming my way! When I saw the Gift Card Greetings die I was so happy. Yes I can make similar gift card holders but having a die is going to be so much nicer. Thank you for creating this. I love, love, love the gift card die…..it will be a “must have” on my list this month! I give many gift cards throughout the year and this die will certainly get used a lot! Winterberry is definitely my favourite Christmas themed PTI release so far this year, I love the sprigs and the trees. WOW! I love the gift card die…it can be used often! As always, I really like Heather’s Winterberry set and of course Tag-its #9 with the great tag frame. The Think Big Favorites #9 holiday greetings can be used through the season and Love-Joy-Peace even beyond! Beautiful ideas! Thanks! Love the giftcard die holder! How am I going to choose what I want to buy this month? Seems like a good day to win for me!! 🙂 just sayin! I love that gift card die! Everything in the preview is beautiful,as usual! LOVE the bottle die and the gift card holder!! What a great idea! The holly wreath is lovely and could be used for any occasion! Love the samples from you as well as the awesome design team! The Think Big sentiments are just to die for! I am running through all of the snazzy cards that I’m going to make with them in my head (but I should probably get back to work instead)! LOVE! As always, I love all the projects today, most especially the Winterbery wreath. 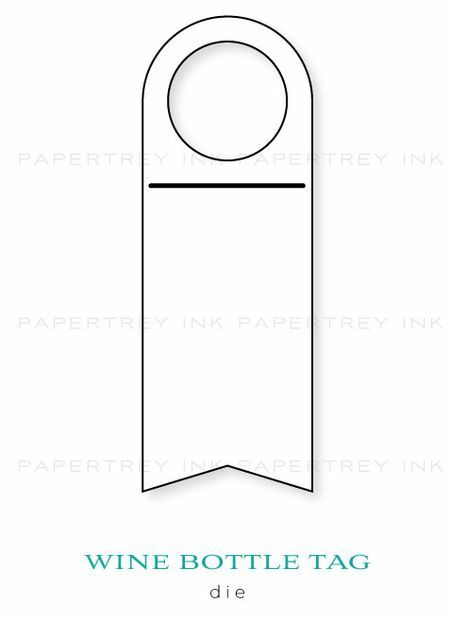 I’m also excited about the GC die and will be lovingly used with the amt of GCs I give throughout the year. Will definitely be a time saver for me! OMG!!! I LOVE the gift card die!! I’m always looking for new ways to package gift cards!! Even the word “winterberry” is beautiful! Love that set, love the gift card die. Sigh. Winterberry looks like an amazingly versatile set. Love the frame on the new Tag-Its. I’ve decided that I might have to give everyone bottles of wine as gifts just so I can use the wine tag die! OOOOOH the gift card holder. So many wonderful things. I love how versatile the leaf sprig and the winterberry spig are. Very pretty cards! I always love the think big sentiment stamps! I’ve adored everything from this release so far! Ahh, Christmas! I love the wreath and the leaf sprig from Tag-its and Winterberry. Such beautiful and versatile images. More fun sets to work with. You make it easy to be cresative. I just love that holly image and the wreath you created with it! I’m totally in Christmas mode now – although it’s always on my mind!!!!! Love it! I have two teenage sons as well as older nieces and nephews. Gift cards have become the norm at holiday times. This die will be so useful! And I love the sample you showed today! Awesome! I really love the gift card die & always love anything that Heather Nichols designs! 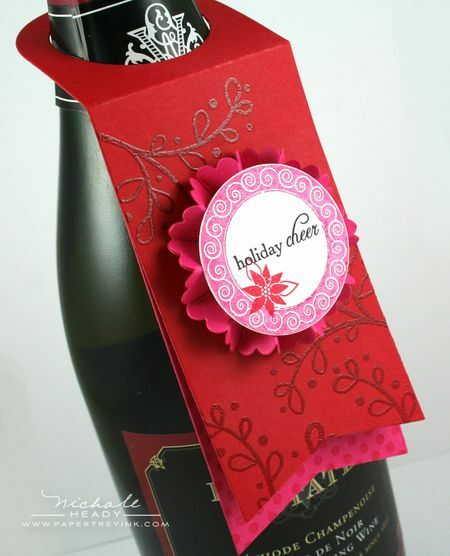 The gift card die and the wine label look fabulous, what a great idea!!!! I really wasn’t that much in the holiday spirit until I saw these cards, then, bam, I’m in it! I love the winter berry and the gift card holder!! I really love the wreath stamp and the credit card holder. Actually, there isn’t anything I don’t love about this sneak peak. What a great suprise to see a gift card holder die since I’ve been trying to design my own measuring & cutting over & over. Now all i have to do i pick the paper & embellish. Everything is beautiful. I especially love the new gift card die, that is totally genius! I love them all but my favourite would be the wine bottle die – this will make the gifts at Christmas unique! Winterberry is just the sort of thing I like – it makes me smile when I look at the images. oooooooo!! I love the winterberry images – my favorite project is your peace/love card with the wreath – very easy to duplicate in mass quantities but oh so beautiful!!! The sprig in Winterberry makes an amazing background. Stunning! I really thought this month would be a light one for me. But, I really want to see my Little Bitty Bird on the Winterberry branch and the dies are fantastic. I think this Tag-Its is my favorite yet. Love the border! You do such beautiful work!! Amazing release! The gift card die and wine bottle tag die are awesome…I can think of SO many possibilities for them! I love the winterberry stamps and the new dies as well. The die cut gift holder and wine bottle collar projects you made are so lovely! I can’t wait to see more of the Winterberry set and I love the gift card die. Beautiful projects presented today. I truly love wreaths and the holly that you used as a wreath…wahoo!! love it!! Love the Winterberry set, the Tag-Its, and love the dies (oh well, love it all)!!! WOW!! Love that holly wreath….so pretty…and the new dies…perfect for the holidays…well heck, they are perfect for all year thru!! Your projects are just wonderful! I especially love the holly wreath from the tag-its, can’t wait to try it! The Winterberry set is just adorable! I also love the Think Big for the holidays is just perfect. Thanks for a chance to win! I like to create my own wreaths because I can determine the size, so I love the little holly sprig. I also like the gift card die and the versatile winterberry set. Lovely examples, as usual. I am in love with the gift card greetings die and the new tag-it’s #9. I am so happy to have something to simplify gift card giving with a personal touch. Just brilliant! Wow! I absolutely love the new wine bottle tag and the giftcard holder. You guys rock! I also think I am really going to like the Winterberry set!!!! Beautiful samples today. I’m so excited about the gift card holder. We only give gift cards now for kids birthdays so it will be perfect! I love that wine bottle tag! And I can’t wait to make that wreath from the Tag-It’s set… that lil stamp is perfect! LOVE the gift card holder! Gorgeous holiday projects! Just trying to figure which I like better – the branch from Winterberry or the gift card die. Thanks for helping to make my papercrafting so easy & so pretty!! Heather has done it again! I love the Winterberry set. Am wishing that my number is selected for this awesome prize! Thanks so much for all of the inspiring ideas! Thanks for the chance to win! Love how the holly sprig became a Christmas wreath. Wonderful projects, once again! Thanks for the chance to win this prize package. The projects are great! BEAUTIFUL projects, Nichole!!! I am in LOVE with those new dies!!!!! Love the gift card holder die…sweet!! Totally sold on the gift card die. This one will pay for itslf in no time especially with the Holidays coming. Thanks PTI! Very fun! Lovin’ that wine bottle die cut and the new tag-it. That orange and yellow card is so eye-catching, thanks for sharing. I just love the holly wreath card. Pure inspiration! And I have got to have the gift card die. Now that our grandchildren are getting older, it seems that gift cards are the way to go. Thanks for all your beautiful samples. Love the new releases, the holly wreath has got me thinking about other stamps set you could do this idea with for cards all year round. Loving the new giftcard die too, Thanks PTI! Love the gift card greeting die & holly wreath. Beautiful cards. REALLY like the gift card greetings die! Winterberry is just wonderful. I love the wreath and background paper you’ve created. Love, love, love the Aqua mist with Orange Zest; probably my new favorite color combo! Looking forward to using the new gift card die and the Winterberry set is absolutely awesome! I love your holly wreath card! How creative! And the winterberry set I’m sure will be wonderful. Loved Heather’s creations on her blog today. Lisa’s gift card holder is a must, too. You all are SO talented! !Can’t wait to see it all! Wow!! I am so excited about the products introduced today! I absolutely love the gift card holder & Winterberry set – so versatile!! My wish list is extensive! Your team never ceases to amaze me with their creativity! Love the Gift Certificate Holder and Wine tag dies!! Both are going to be MUST have items for me!! So excited for this release. My mind is spinning with all the gift ideas. I love everything but my favourite is the wreath card, I loved how you used a tiny little stamp to create a much larger image! Just fab! Can’t wait to see what you have up your sleeve tomorrow. These are always my favorite stamps sets each month and those dies are to die for…LOVE the winterberry set too…oh how can I get them all???? Once again, I love the Think Big Words. Oooh! Love Winterberry and Think Big Favorites!!!! What beautiful additions they are. Of course, everything else is wonderful, too!! 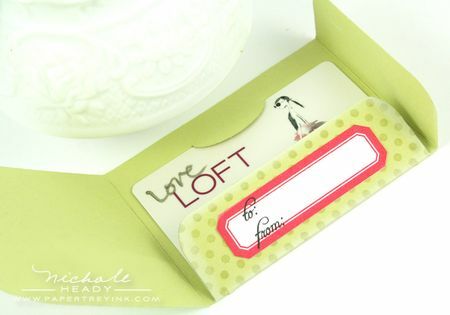 Gorgeous projects… LOVE the gift card die! I just have to have that gift card die, and the winterberry set looks lovely, and versatile. I think you girls read my mind. I have been making wine bottle tags and I have to measure each time (not brain surgery but..) I was thinking someone should make a die. Love it. Ooohhh . . . winterberry, the gift card holder, the little sprig from the tag its set . . . oh my!! These sets look amazing. And I love how you used the winterberry set in that non-holiday card. Great job! I love the mod look of your orange and aqua card. So funky! I’m also looking forward to these dies that make gift-giving so much easier and classier. I love the new gift card die. So useful! I love the gift card holders. What a great idea!! Of course, I want it all!!!! I love the wine bottle tag die! I think it’s such a great way to dress up the bottle for gift giving. This post is just filled with Papertrey goodness! I love all the cards, ergo all the stamps in the showcased cards. And the two dies are so perfect. I can’t wait to see more, and my credit card is poised! These are all great! Love all the ideas that you share with us~ keep up the great work! Love the wine bottle tag! I think the gift card holder is genius! I absolutely love the gift certificate die! This is going to make my gift giving so much easier and a lot more fun. The Winterberry set is great and very versitle. Looking forward to the gift card holder die. Great stuff as always!! The gift tag holder die is awesome. I love it and is a must have. Can’t wait to see entire release. Thanks for the chance to win! I am constantly impressed with the backgrounds you create with these stamps…so very creative! Thanks so much for sharing your wonderful designs. Totally love the Winterberry set! I love that you used it for a non-holiday card too. Makes it so much more versitile. Thanks so much for the inspiration! Can’t wait to see what else is in store! I just love the holly wreath, it’s so lovely! And I think my favorite is the gift card die. Finally an easy way to make stylish holders for gift cards. Thank you! LOVE it all!!! The gift card holder has SO many uses!!! Can’t wait to try it…and the wine bottle tag is awesome!! I think it would be great for teacher appreciation for fun daily things for all teachers/staff. Thanks for the chance to win!!! Everything from the dies to the stamps are so lovely but my favorite is the Gift Card Holder…Unique & LOVE IT!!! The holly wreath you made using Tag-it’s #9 is fantastic. I wish I had this set now, I am going to a scrapbook retreat this weekend but I will be working on my Christmas cards. I plan to use this design for some cards as soon as I get my order in. I love how you used the holly sprig from Tag-Its to create a wreath! And I also like seeing Winterberry used for an “any occasion” card. AND, I really love that wine bottle tag die!!!! Really like your gift card holder die. Thanks for such great ideas. Absolutely stunning cards and I love the dies… the gift card holder and the bottle tag…wonderful, just wonderful! I love it all, but especially the Winterberry set, Tag Its, and the wine bottle tag. These fabulous products are making it very hard for me to limit my wish list this month! Really liking Winterberry & wine bottle tag! Great new stamps and dies. Keep it up. Love the gift card greeting die! Great idea. Love the gift card die! And the holly wreath is gorgeous! Beautiful! Love the wreath card. The dies are a great addition to my growing collection! Love the new tag it’s and gift card die. Fabulous ideas! What a wonderful release! I love the winter berry wreath! It could make such easy elegant Christmas cards! I just saw this post—SO glad I did! I love the new Winterberry set! It is so versatile—-just what I’m looking for in a stamp set! Your projects are lovely, as usual. I especially love the wreath card and the non-Christmas one—that background is divine! Yes, this is another incredible month….LOVE the new large messages! I LOVE the Ordinary Miracles card!! The background looks like designer paper. And the wreath that was made using the holly sprig is super cute! I just love wreaths, especially during the holidays. I can’t wait to see the entire release!! These are all awesome stamp and die sets!!! Love the dual post reveals. Love all the fresh and untraditional colours of todays projects! love that wreath especially! Great stuff! I love the branch in Winterberry, and your Hawaiian Shores card is such a delightful change from the standard Holiday color palette. I can’t wait to order the gift card holder, and can see a lot of usage over the course of a year(s). Good stuff today! Absolutely LOVE the new dies!!! I love a good glass of wine, and love giving it as a gift as well!! Perfect combination!!!! Love love LOVE the gift card holder!!! I will use that ALL the time! You had me at “gift card holder” die. This is shaping up to be one fantastic release. I cannot wait to see what else is coming over the next few days. holder die. Thanks for a chance to win. I love the winterberry set! The cards you made are beautiful. Wow. . . I am loving everything this month! I really like the gift card die and the Winterberry set. So very cute!! I am getting excited about Christmas cards now!! Love the branches and the wine tag die. So perfect for wine gifts. Also really like then new Think big favorites. The gift card die is awesome as well as the wreath! Love the gift card die and that Winterberry set! I love the winterberry set! Every sample I have seen with it is fabulous! Love the gift card holder and wine bottle tag. These are going to add such a great touch to so many gifts. Your cards and projects are always so creative & so delightful! The gift card die is going to be a huge hit for year around use! Love the think big favorites! Love the holly wreath and the rest of the Winterberry set!! Always love the Tag-it collection!! The gift card holder die is pretty nifty also!! I love the gift card die! So many fun possibilities and great gifts to create! I LOVE both dies and will have to get them both. Brilliant! I have always made my own wine bottle tags with a tag die and ribbon and this will be way better. Can’t wait! Love the gift card die. It is perfect for me since I tend to give a lot of gift cards out for holidays and birthdays. I also love the wine bottle label tag, it is perfect for dressing up a bottle of wine. I am loving all the sneak peaks this month. I am really getting into the holiday spirit and have started making all my Christmas cards. 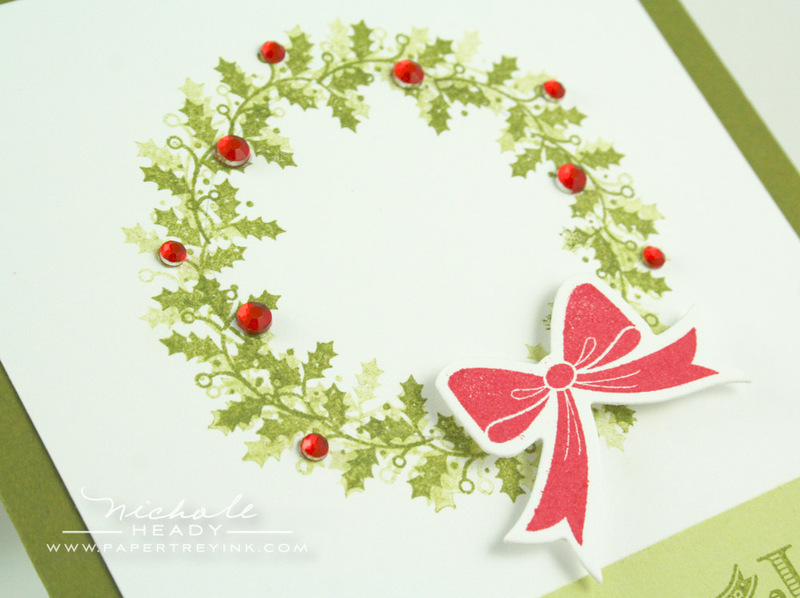 The holly wreath card is beautiful paired with the bow die. Genius! I am so excited about the new “gift card die”! Can’t wait for tomorrow’s post! Loving everything so far! Especially the gift card holder! Sorry, but I just have to say it, once again I love them all…the Winterberry, Tags It, Think Big stamp sets and the new dies. The projects are simply beautiful. The holly wreath is gorgeous. That holly wreath is completely gorgeous! So so pretty! This is why I am a huge Heather Nichols fan! I love her new sets already and your creations with them are beautiful. Can’t wait to see what’s next! Lovely new products. Love the gift card holder and can be used year round for lots of great gift cards. Love the holly wreath and thank you for all the wonderful inspiration your team shares with us. Love the new dies! Both will come in handy for this year’s christmas gifts. I love the gift card die cut. I usually use my cricut, but to figure out the size, cut it (several times because I mess it up) – oh the time wasted will be no more! I can’t wait to order it (if I don’t win it) on Friday/Saturday morning. The holly spring from Tag-its #9 totally caught my attention. Love how you stamp it into circle. What a great idea! Leave it to PTI to come up with the greatest new die ideas! I just love the Gift Card die!! I can see using that one a LOT! I really like the Think Big this month! That is by far my favorite series of stamps!! As always, I love them all, but the Winterberry swirl is my favorite. Oh, the fun things I could do with that! I really love all the possibilities with the gift card holder. Great releases . I love the gift card die!! I can see that getting tons of use! Love, love, love the gift card holder! I love everything that I have seen so far! !…but my FAVORITE it the Faith and Hope set! !…I can’t wait to get it in my hands! !….Great projects too!! Love the gift card holder…can see making a ton of those this season. Great ideas today as usual. I love the Winterberry Set, so versatile! The gift card holder die is perfect!!! Because of the beautiful holly wreath card, I now HAVE to have the Tag-its #9 set. Can’t wait for the upcoming reveals for this release!! Okay. The new Gift Card Greetings and Wine Bottle Tag dies are AMAZING. The sets are so cute too! This release is already so fabulous that I can’t imagine what else could possibly be in store! I just added the gift card die to my list of must haves. And I absolutely love the wreath so the Tag-its #9 set is also at the top of the list. But so are all the other stamp sets revealed so far. What a month! Again! I love love love the winterberry stamp!!!! another fabby release!!! can’t wait to see what else is up your sleeve! i just love the wine bottle tag. Oh, my! The gift card holder die is a brilliant design. Love it! Love it all, as usual. Especially your wine tag, the holly wreath, and the non-traditional Winterberry card (love those colors)! Thanks for the inspiration to think outside the box! Have been waiting for a die to make a gift card holder! Also love the winterberry designs. Looking forward to trying them out! Oh, how lovely! The wreath just about made my day. Thank you for always inspiring us! Wine bottle tag… I’ll drink to that! What a great idea. Can’t wait to make my buy. Great New stamps and love the new dies! Can’t want for the 15th. My favorite item is definitely the new giftcard holder die. We give giftcards often so I could always use ideas to package them. The Winterberry set is even more elegant than I had thought it would be. Love how the new Tag-Its frame looked in the first project. Thanks for the inspiration and giveaways! Wow – love the winterberry stamps you’ve shown – so versatile! Also love the gift card die – amazing as always! yeaaah love berries and the die for gift cards are is great! Great products. Love the gift card die and all of the ideas. Thanks. I LOVE PTI dies, I think I’m a little addicted 🙂 I’m so excited about the new gift card greetings die & the wine bottle tag die. With these new dies I can branch out from cardmaking & learn how to make pretty gift packaging for gifts too! Can’t wait to try these new dies out! the wreath card you made using it. Just lovely. And a winter card in orange and yellow? This will really be one of the best releases EVER! I am excited about the wine bottle tag, because we give wine at Christmas/New Years and the Gift Card holder will come in handy all year long! Another wonderful Tag It’s set…fantastic…I love the holly wreath! All the new stamps are just gorgeous and so versatile. beautiful! Just love the two dies – absolute must haves. I already have so many ideas of just how I am going to use them year round! Love how you made the holly wreath – so cute! Another fabulous month! Thanks as always for the inspiration! The wine tag is really neat! I actually love everything. I love all the Christmas things! Love all these new releases! You guys are amazing! Everything is great, but the gift card holder die is a must have! Perfect for year-round gifts. And the wine bottle tag die is brilliant! Of course, the stamp sets are inspiring as well. I always love Heather’s creations and these are no exceptions. I’m trying to not go overboard but I believe I will need these. The gift card die and wine bottle tag die are must-haves! Can’t wait to get them!!!! And the wreath you created such a clever idea!!! I am in love with the new dies… so wonderful for Christmas!!! And the new think big is awesome as well…..
Really pretty stamps, and those dies look like a lot of fun waiting to happen! Totally in love with the gift card die!! Gorgeous projects, too!! Great gift giving ideas. PTI, you always make papercrafting so easy! Oh, how I love you so! fantastic! loooove your samles and the new sets AND the dies..wow! Love everything I see so far amazing! Everything is so gorgeous. I can’t wait to start on my Christmas cards!. So great! How do you keep coming up with such yummy sets and ideas???? Thanks for all you do. I am a huge fan of the rustic/woodsy style so I am very excited about Winterberry!! Love those new dies, too. You ladies are all so clever! The new dies are great! What is not to love! The wreath idea is wonderful and so creative. Again so inspiring!